Published 1988 by Grosset & Dunlap. 1st printing. By Jim Davis. Based on the poem by Clement C. Moore. GARFIELD'S NIGHT BEFORE CHRISTMAS is full of wild, witty, and delightful surprises. 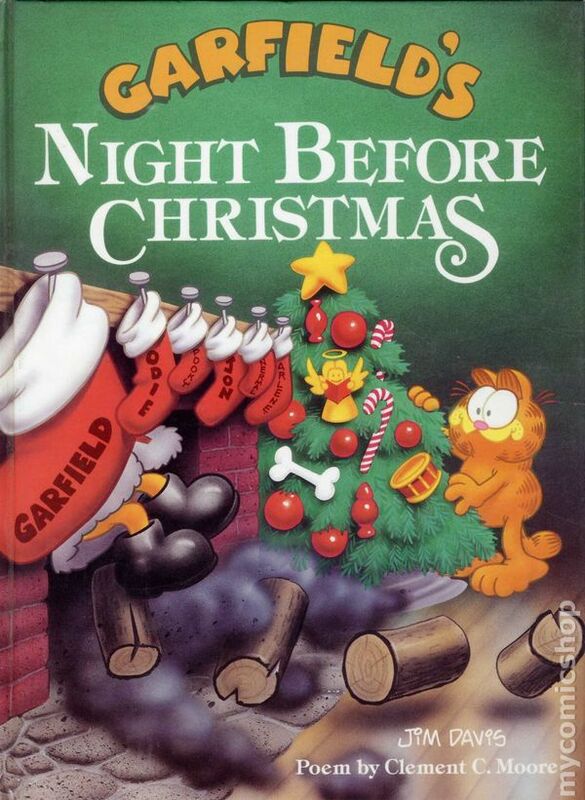 Children will love Garfield's own special vision of the beloved poem and the warm holiday celebration waiting for him on Christmas morning. Hardcover, 8-in. x 11-in., 28 pages, full color. All Ages Cover price $8.95.